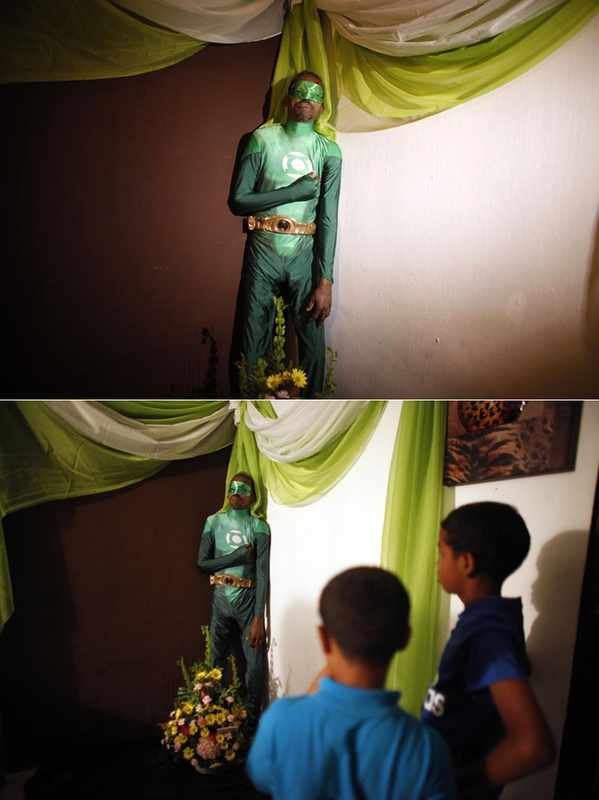 I can't stop looking at this dead Puerto Rican man propped up in a Green Lantern costume at his wake. I would totally check out an exhibition of embalmed corpses dressed as superheroes. Blues Traveler will release their latest album, Blow Up the Moon, on April 7. Yes, Rookie of the Year star Thomas Ian Nicholas. Taco Bell is testing a new fast casual concept, called U.S. Taco Co. and Urban Taproom, in California. "Brown whiskey" is finally starting to outsell vodka because millennial drinkers want more body in their cocktails. Millennial drinkers are also turning to darker liquors because they come with the assumption that they were made in smaller, locally owned whisky distilleries.